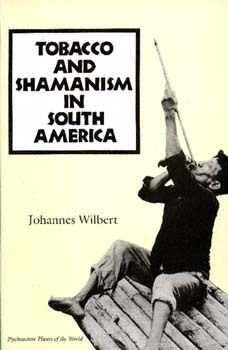 Anthropologist Johannes Wilbert here presents a comprehensive ethnography of magic-religious, medicinal, and recreational tobacco use among native South American societies. Surveying nearly three hundred societies, Wilbert has found that South American Indians use tobacco in many ways and that a close functional relatioship exists between tobacco and shamanism. "Wilbert draws on an enormous body of literature to explore in admirable fashion the intimate relationship between domesticated members of the nightshade family and the cultural context in which they were lovingly propagated and effectively exploited. . . . A truly impressive bibliography accompanies this book, which reminds us that we are reading a first-class reference source." "A compendium and an original theoretical statement on . . . the often-forgotten pharmacologic properties of the world's most popular recreational drug." "Tobacco is one of the many gifts made to us by the South American Indians. By now it looms so large in our civilization that users and nonusers alike will be enthralled by this book. While Wilbert has mustered an impressive mass of documents, his erudition remains enlivened throughout by his intimate acquaintance with tribal life in South America." "The book is richly illustrated and the narrative . . . is surprisingly readable for a reference book of almost encyclopedic nature." "An awesome piece of scholarship which should be of interest not only to Wilbert's fellow anthropologists but also to scholars in medicine, pharmacology, and history, especially ethnohistory." Johannes Wilbert is emeritus professor of anthropology at the University of California, Los Angeles.